As the jeep passed through the gates of the enclosure we were met by a whole gang of black sloth bears. They knew it was snack time. They bounded up to the jeep, following it. More and more bears appeared out of the forest and raced each other towards the jeep. It stopped suddenly and the two men in the back jumped out and distributed the morning snack: watermelons. I expected the bears to bite into the melons to get to the fruit inside but they used their long claws instead to claw open the fruit. In seconds they gobbled up the red juicy flesh leaving behind only the rinds. As we drove along through the enclosure more bears happily bounced up to the jeep and each got a watermelon as a treat. Dr Arun told us their names. “This is Raju. He is very naughty!” Raju stood on his hind legs as if to get a better look into the vehicle to see who the visitors were. I was at the Bear Rescue Centre at Bannerghatta National Park on the outskirts of Bangalore. This is the home to 90 sloth bears. Here the bears spend their days exploring the forest, playing on the swings and platforms specially built for them, hunting for the treats the bear keepers hide in the trees, sleeping and generally living a bear’s life. But these bears did not always live so carefree. The 90 bears at the rescue centre spent the first part of their lives working as dancing bears. 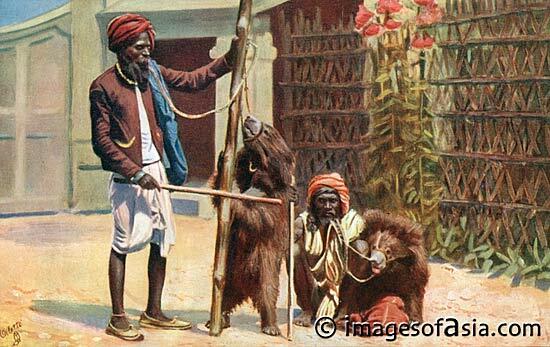 Dancing bears used to be a common sight in India, especially in popular tourist centres. As cubs the bears would be trained to dance and perform tricks. But first their canines would be smashed with hammers (that’s why they couldn’t bite into the watermelons!) and their muzzles would be pierced with a hot iron so that a rope could be passed through the hole. The life of a dancing bear was one of slavery and misery. Dr Arun and his team of vets show us around the centre. There are a few holding cells for bears who are sick or under treatment. In one of the cells, Shankar sways back and forth from side to side. The vet explains that this is typical behaviour in caged animals. Shankar was locked up in a small cage for years. His owner had lost the key. He’s having a hard time readjusting to a life of freedom. He’s afraid of the other bears and can’t keep down food. The vets are trying different treatments to try to help him recover. Bear dancing is being eradicated thanks to organisations like Wildlife SOS, who run this bear rescue centre and three others across India. Their approach is not only to rescue and rehabilitate the bears but also provide assistance to their former owners. The Kalandar community have been making a living thanks to these bears for generations. When they agree to surrender their bears they get 50,000 rupees in compensation. They also receive training in a new trade and education is provided to their children. 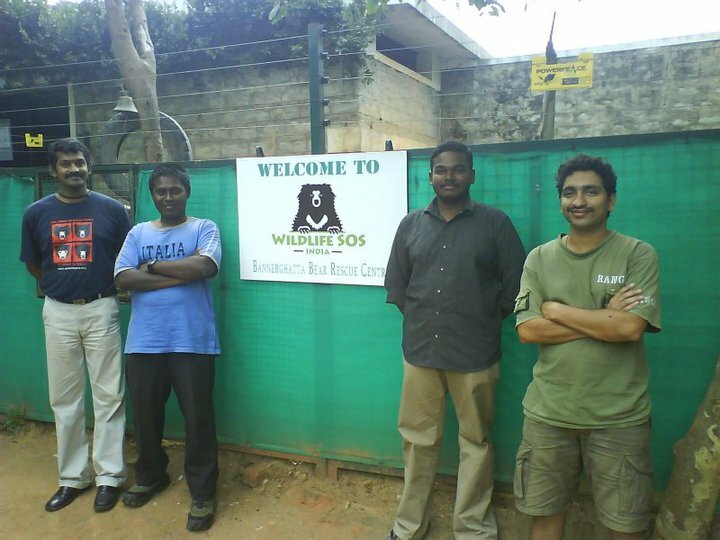 Some of the members of the Kalandar community work at the rescue centre as bear keepers. We asked them how their families make a living. Many now work in agriculture, tailoring, handicrafts or have opened small shops. Their children have been able to access higher education. Two are studying engineering. What was touching was the affection that the vets and the bear keepers obviously have for the bears. They told us about their different personalities and the antics they get up to. I had never wanted to go to Banngerghatta National Park because I had only heard about the miserable zoo and the dreary safaris on tourist buses. But the Bear Rescue Centre was an inspiring place. No longer forced to dance or perform tricks for a few rupees, here the bears can finally be bears! Photos courtesy of Anuj and Susmitha. I am so happy to hear about the work the centre is doing to rehabilitate the bears. Thanks for sharing! You have not shown any negative info on India, although there are many. Are sloth bears the same things as... sloths??? Are sloths a kind of bear? Thanks Kristin! 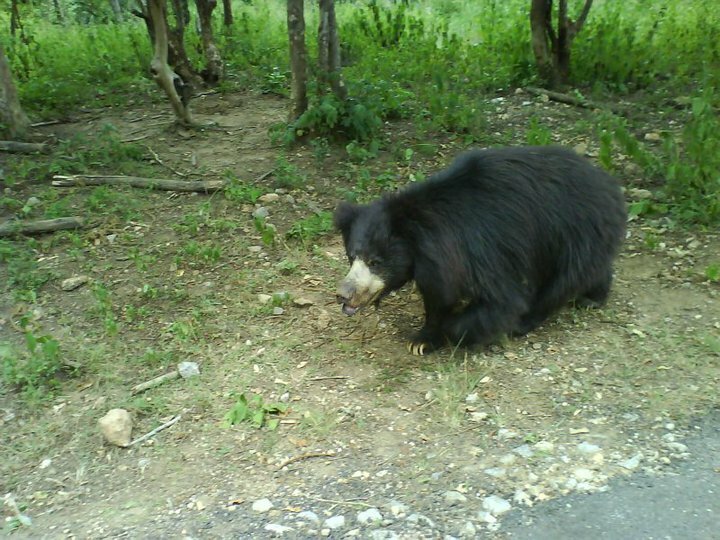 Do visit the bears next time you go to Bannerghatta. Thank you Anonymous. Yes there are negative aspects to India like every country, and I do mention them too at times. But there are many fascinating and wonderful things too. Thank you for sharing, they're such beautiful creatures! This morning. 7am. City Market.